Russell Wilson's career passing accuracy is third in the league since 2006, according to an analysis by Football Outsiders. 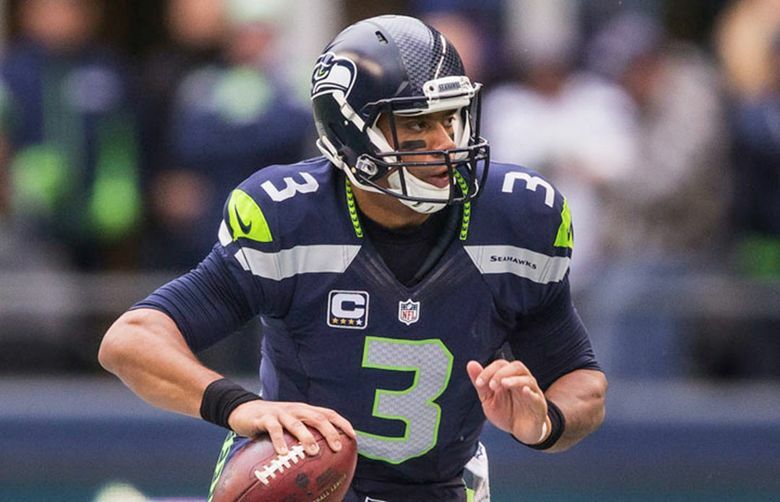 As NFL training camps get into full swing, Seahawks quarterback Russell Wilson is getting some recognition for the impressive season he put together last year. Wilson has been named the most accurate quarterback of 2015 by Football Outsiders, an NFL analytics site that often partners with ESPN. Wilson finished first in a Football Outsiders stat called C%+, which essentially measures how many percentage points above average a quarterback was at completing passes. In 2015, Wilson’s C%+ was 7.3, putting him a half-point ahead of the second-place finisher, Steelers QB Ben Roethlisberger. Wilson’s high ranking is in large part thanks to a dominant finish to 2015 that saw him throw 24 touchdown passes and just one interception over the final seven games. Wilson’s career C%+ of 6.6 percent is third in the NFL since 2006, behind Kurt Warner and Drew Brees. The C%+ stat is based off a concept called “passing plus-minus,” which measures how many passes a quarterback completed compared to what an average quarterback would have. Crucially, the stat takes into account the location of passes, so a quarterback like Wilson who often throws downfield isn’t penalized. It also doesn’t penalize quarterbacks when they have to throw the ball away, or when a receiver drops a pass that should have been caught. You can read the full article here (ESPN Insider subscription required).